The shark is not always an insatiable predator: the largest of them, the whalefish, can also feed on algae, and from time to time – not to eat at all. The largest of modern fish, whale sharks can gain a mass of up to 20 tons – the weight of a few elephants – but for people it is completely harmless. During the year, they make long-distance migrations across the ocean, filtering out any living animal from the water – be it planktonic crustaceans, small jellyfish, mollusks, and other fish. However, the new work of biologists from the University of Tokyo showed that the nutrition of whale sharks is much more complicated and diverse: they were able to consume plant food, and if necessary – to starve. About this Alex Wyatt (Alex Wyatt) and his colleagues write in an article published in the journal Ecological Monographs. Scientists analyzed samples of blood and other tissues of three whale sharks that live in the Churaumi aquarium in Okinawa, as well as eight that caught the net of fishing vessels in the open sea near the island. The former were kept on an artificial diet, a mixture of planktonic crustaceans with fish, cephalopods and shrimps. Every day they absorbed 45 kilograms of such a mixture: it is not surprising that the characteristic ratio of carbon and nitrogen isotopes in the tissues of these fish indicated a purely “meat” diet. At the same time, scientists who took samples several times found that periodically sharks were starving, completely refusing to feed for two to three days. On the other hand, the study of samples of “wild” whale sharks pointed to a mixed “omnivorous” diet, half consisting of algae. And two of the eight fish were also starving at the time they received the samples. Apparently, omnivorous and periodic hunger strikes are natural feeding habits of these sharks. Scientists suggest that they may go hungry during the migration from one sea “pasture” to another and switch to plant food if there is a shortage of normal food. The authors note that whale sharks are considered threatened. Their numbers are falling due to human activities — the exploitation of marine resources, including fishing, and poaching. 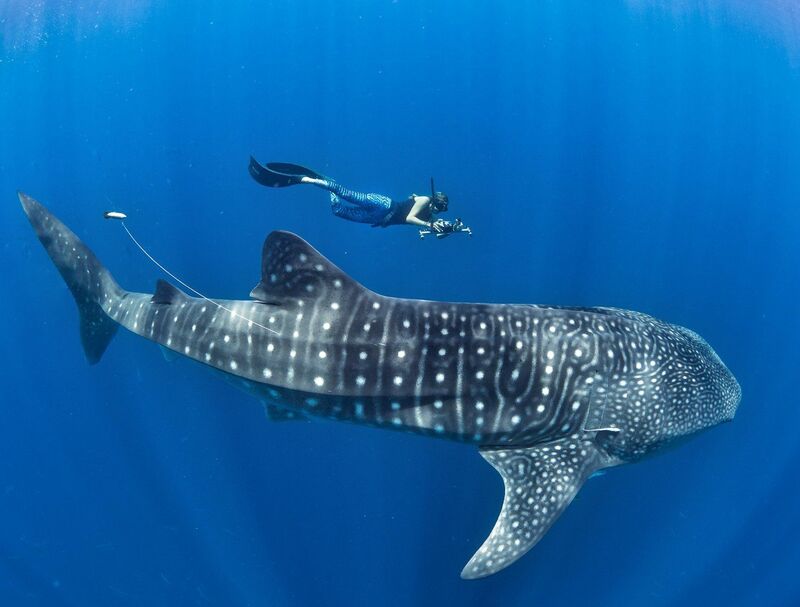 However, they usually live far from the coast, in the open warm seas, migrating over large spaces, which makes studying the life of whale sharks difficult, so we still know too little about them. A better understanding of their biology, behavior, and nutrition will make it possible to more effectively plan the measures necessary to protect these magnificent creatures. Next story Environmentalists have named the exact number of endangered species of animals. Previous story The cause of medieval droughts was the cosmic weather.